Part graph, part snacks, Gurgle Axis arrives by bus & during our time in Alice Springs, in the gallery, will be digesting and re-situating itself (ie. our friendship, our experience of bodily and geographic movements) forming in relation to April’s … gurgle. 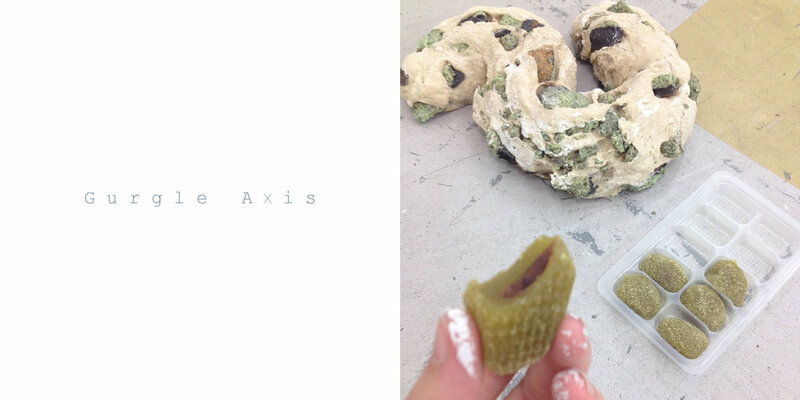 Join us at the space to speak with the artists about their practice and current exhibition. Keep in mind that this is a “changing sculptural exhibition” and the show will have therefore morphed since the opening. This event is a good chance to see what’s changed!